Blue Pacific Property offers a Renovation and Project Management Service to help investors maximize the earning potential of their investment and also increase the capital value of the property. We can give you advice on how to increase the rental returns on your investment property or gain some extra equity by renovating. We specialize in helping investors maximize the returns on their property. Renovating your investment property is a great way to increase your wealth and is another ingredient in a good investment strategy. It is important to ensure the improvements are carried out in a professional manner and are based on good design and structure . It is also important to understand the financial implications to prevent over-capitalising or paying too much for the materials and labour. If you need advice on the best way to renovate your property in order to increase rental returns, increase equity or for sale, or just to enhance your own lifestyle then we can help. Perhaps you are not sure where to start or lack the confidence to make the correct decisions? We have a wealth of experience in home improvement from interior design, to upgrading or replacing kitchens and bathroom and also in major redesign and structural changes. 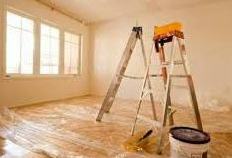 We can advise and organise renovations for investment property or your own home. Contact Us For a free consultation to determine whether your property can be improved or renovated to increase its value and financial return to you.